Happy OT Month 2016! Four years after initially learning about OT, three years after going through the wildly difficult OT school application process, two years after starting OT school, and just FIVE MONTHS before the end of my time as an OT student, I’m still as passionate about this profession as ever! Although of course I celebrate OT all day every day, this month is a great time to advocate for OT, educate others about the profession, and celebrate the achievements of OT students, practitioners, educators, and supporters! And since I love to celebrate, for OT Month 2016 I’ve created a guide to products, publications, and projects created by OT practitioners from around the world! Read on to learn more about products created by and for OT and OTA students and practitioners across practice areas! 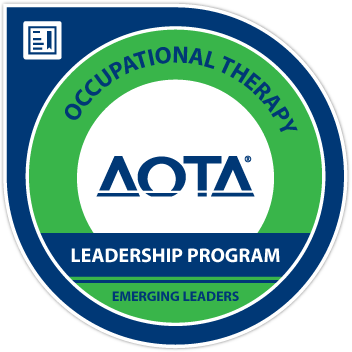 The vast majority of OT students complete their Level II fieldwork placements in traditional settings such as schools, hospitals, outpatient clinics, and home-health programs*. Fewer will complete fieldworks in mental health facilities, community-based settings, or even more non-traditional practice areas such as vocational rehabilitation or criminal justice systems. With a quick Google search, you can read about OT students’ fieldwork experiences in schools, hospitals, and mental health institutions across the country and around the world. But what about the few, the proud, the mostly-forgotten OT students who are not working in these places? As far as I can tell, we don’t really have a voice in the online community and there is little information available from AOTA, individual programs, or other sources to support students who aren’t in traditional fieldwork settings. A recent literature review I conducted in an attempt to find resources for myself demonstrated that while there are multiple studies touting the benefits, opportunities, and possibilities for with OT students who complete non-traditional or “innovative” fieldworks, there are virtually no resources or studies examining the student experiences in these settings. As is often the case, the focus of most OT research and knowledge development is not focused on or developed from the student perspective. While I think it’s great that many OT students are being encouraged and given opportunities to practice in non-traditional settings, I am disappointed and frustrated with the lack of resources and support available for students (like myself) in these placements. For example, two of the more common non-traditional settings are criminal justice systems and community-based mental health organizations. Although there is research discussing the challenges and opportunities for clinicians in these settings, I believe it is also important to know what issues students face when working with current or newly-released inmates or clients receiving community-based mental health services (for example). How are students preparing to learn, meeting education standards, providing services, and “doing OT” in these settings? These are some of the questions I have, but it seems that nobody has the answers. I believe that students should be as well-equipped as possible to enter these and other non-traditional settings in order to ensure that the educational experiences they receive and the services they provide are both of high quality, but this has not been my experience. And while many students entering non-traditional settings are “debriefed” by their program’s fieldwork coordinators, future fieldwork instructors, or previous students, this may not be sufficient to prepare students to succeed in these placements. Although I can say that I don’t have any regrets about my fieldwork placement in vocational rehabilitation and I value the opportunity to learn about the clients, health conditions, and pros and cons in this setting, I’m not going to pretend I’m 100% aware of how to develop my practice skills here or that I’ve been well-supported with resources from my professional associations or even my program. In all fairness, I have sought advice from my supervisor and academic fieldwork coordinator (AFWC) and conducted research online (all of which have been only moderately helpful), but I would appreciate having other supports available online or elsewhere for students in situations like mine. The goal of this post isn’t to make myself a martyr for the non-traditional placement cause or to say that students in traditional settings have it easy. As always, I’m simply looking to provide information for students in a similar situation to mine who may be struggling with it like I am. This post may also be relevant for students in any setting who are struggling to find success during fieldwork or how OT fits in with their practice setting. 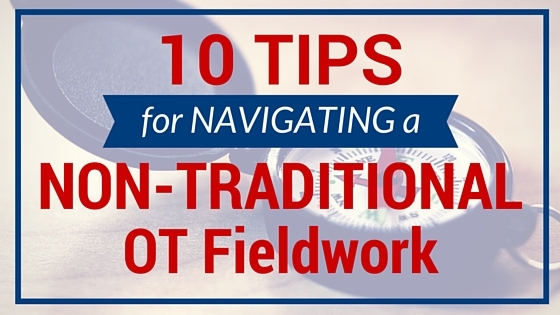 Read on to learn how you can get the most out of your non-traditional OT fieldwork experience, wherever you may be! As you might have heard, AOTA Hill Day 2015 is approaching quickly and OT/A students and practitioners from across the country will be headed to Washington, D.C. for a day of advocacy and action! If you can’t get to the capital, there are still a ton of ways you can be involved in the action! I believe that legislative advocacy is an important part of professional development, because the way you practice is ultimately determined by state and federal laws and policies. OT/As are in the best position to bring issues to the forefront, especially because they are dealing with these issues in practice every day. This interactive infographic includes links to websites and resources you can use to start planning for Hill Day even if you’re far away! However you decide to participate, be sure to share your ideas on Facebook and Twitter using #OTHillDay! Click on the image to access the links! Check out these links for more info about how to prepare for Hill Day! 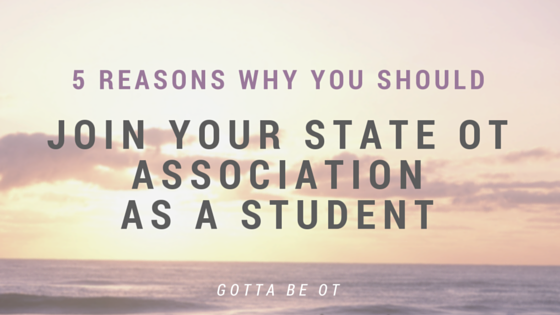 Earlier this summer, I bit the bullet and decided to join my state’s occupational therapy association. Although it was only a relatively inexpensive $45, I went back and forth for a while before I finally decided to join. Part of my hesitation was quite selfish in nature – I wondered what was this organization going to do for me. Another part was financial – just think of all the fun I could have with that $45! In the end, I finally committed and registered to become an official member of my state OT association. What changed my mind, you may ask? One Week Until World OT Day 2014! 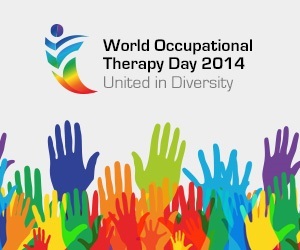 It’s another Monday, but it’s not just any Monday – it’s the Monday before World OT Day 2014! This World OT Day, there are going to be so many amazing events around the world, and in this blog post I’m giving you lots of information about the event itself, this year’s global OT virtual exchange, the WFOT and how YOU can get involved! 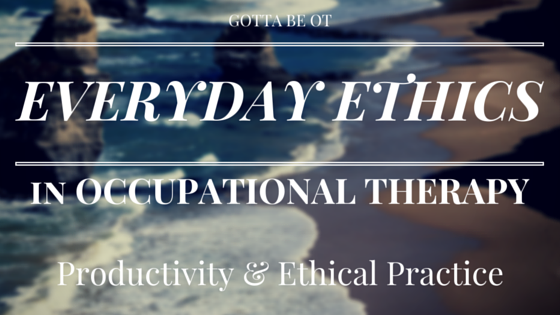 What is World OT Day? What is the World Federation of Occupational Therapists?